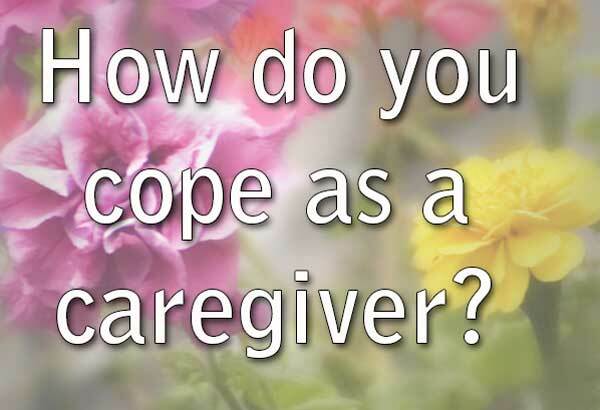 You constant readers may not know, but then again you may, that I use this blog as a tool to help me get through the day-to-day stress associated with being a caregiver. Let me explain. Being a caregiver so far really hasn't been so bad once you get past the mental decline that Mom faces on a daily basis. On the physical level Mom's health is fantastic and I really think she will follow in her Mother's footsteps of remaining healthy until the very end. Personally the difficult part of caregiving is the hours upon hours of solitude and the stretches, sometimes last for weeks, when I don't or can't leave the house. When I do get away, it's either alone, to complete a task required for the household or do a task for someone else. How much fun can you have when you are alone, without your spouse? Well for me, it's not fun at all. When I do get the chance to get away even leaving the house creates other self inflicted burdens and another layer of stress. Why? Well, leaving the house requires another member of the family to give up their time to take my place and do my job. Sure, everyone in the house can help and they do, but every time I leave the house I feel guilt. Those things alone zapp most of the fun from any outing and I've even found myself making excuses why I shouldn't even try. How do I cope with all of this. Well some days are better than others, but here are some examples that so far have worked well for me. Blogging is one of the best ways. Blogging gives me a chance to express how I feel, pass along my failures and celebrate my successes. Beyond that, blogging let's me chronical and record how Mom is doing as Alzheimer's tightens its grip upon her mind. By journaling on a daily basis I can then compare how she's doing this week with last week, last month or even last year. Reading is another great escape that serves me two fold. Being absorbed in a book gives me the opportunity to free my mind from the daily stress, plus it allows me to be in an area of the house where I can easily keep an eye on Mom. Although I'm not a big fan of ebooks they do allow access to vast libraries of free or low-cost reading material. Don't take all of this the wrong way. With the associated stress and seclusion of brought about by being a caregiver, I don't regret the decision of bringing Mom into this house at all. I know she is getting the best of care and is living a higher quality life than she would being institutionalized. Here she's not just a name or a patient, she's my Mom and that's what really helps me make it through the day!